that are structured and tailored to the needs and ability of the student. We pride ourselves on an extremely high pass rate. feel this is essential and the most effective way for you to become a safe and competent driver. Don't Miss Out, Book Your Lessons Today! Please note this offer is running for a limited time only, so contact us now to avoid dissappointment. 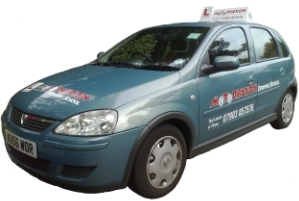 Driving lessons discount available only to those wishing to take a course of driving lessons in Sutton, Epsom, Morden, Wallington and surrounding areas. Learning to drive for many people is not only quite a daunting prospect but also a potentially expensive one. At the Motorvation Driving School, our driving lessons and driving courses are designed to relieve you of your fears but not to relieve your wallet of all your hard earned money! 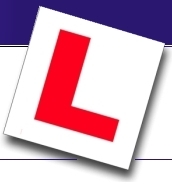 Our freindly driving instructors are fully qualified with several years experience and are all DSA approved, so you can rest assured you are in safe hands. We are proud of our high pass rate - 99 per cent of our students pass first time! 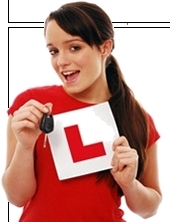 A course of one-to-one driving lessons with a Motorvation School driving instructor will give you the skills and confidence you need to drive safely both in congested built up areas and motorways. So why wait any longer, contact Motorvation Driving School today. Driving lessons in Epsom Wallington Cheam Morden Tadworth driving lessons in Kingswood Carshalton stonleigh driving lessons in Banstead Coulsdon Driving lessons in Chipstead Driving lessons in Reigate Redhill Ewell Tolworth Worcester Park Driving lessons in Belmont Driving lessons in Sutton Purley Hackbridge Surrey Driving lessons in Ashtead Croydon. Driving Instructors in Sutton Driving instructors in Epsom WallingtonCheam instructors in Morden instructors in Tadworth Kingwood Carshalton driving instructors in Stonleigh driving instrutors in Banstead Coulsdon Chipstead Driving instructors in Reigate Redhil Ewell Driving instructors in Tolworth Worcester Park Driving instructors in Belmont Purley Driving instructors in Hackbridge Surrey Ashtead Driving instructors in Croydon Driving Schools in Sutton schools in Epsom Wallington Driving schools in Cheam Driving schools in Morden Tadworth Kingswood Carshalton Driving schools in Stonleigh Banstead Driving schools in Coulsdon Driving schools in Chipstead Reigate Redhill Ewell Tolworth Worcester Park Driving schools in Belmont Purley Hackbridge Surrey Ashtead Croydon Learn to drive in Sutton Learn to drive in Epsom Learn to drive in Wallington Learn to drive in Tadworth.